When somebody subscribes to your newsletter, they indicate that they want to know more about you and your business, they want to read your stuff and maybe even connect personally. Confirmation page is a good place to get introduced and tell a bit more about your newsletter. Click To Tweet You probably didn’t have much space and time yet to tell about your business. This is the right place to start. 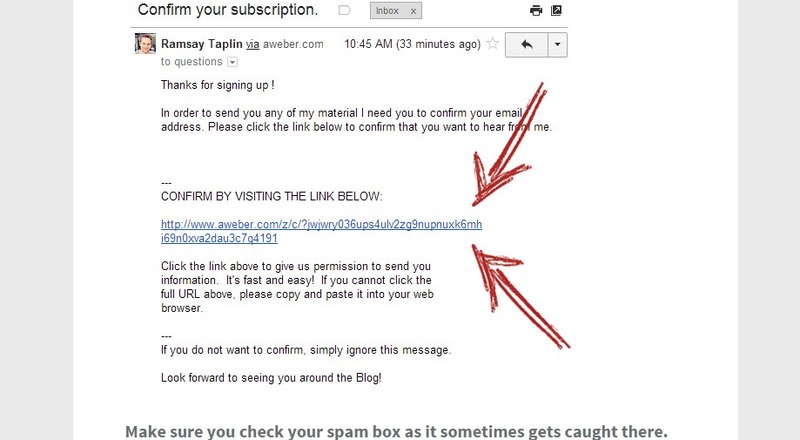 A great example of an email confirmation page is one of Ramit Sethi from iwillteachyoutoberich.com. Info-marketers are a great source of best practices that can be used in ecommerce stores. Newsletter is often their most profitable sales channel, so they know what to do with it. I recommend you to subscribe to them every time you find one, even if you generally don’t like this salesy rich-dad-poor-dad stuff. Be creative and make your newsletter even more desirable with smart copy and social proof. 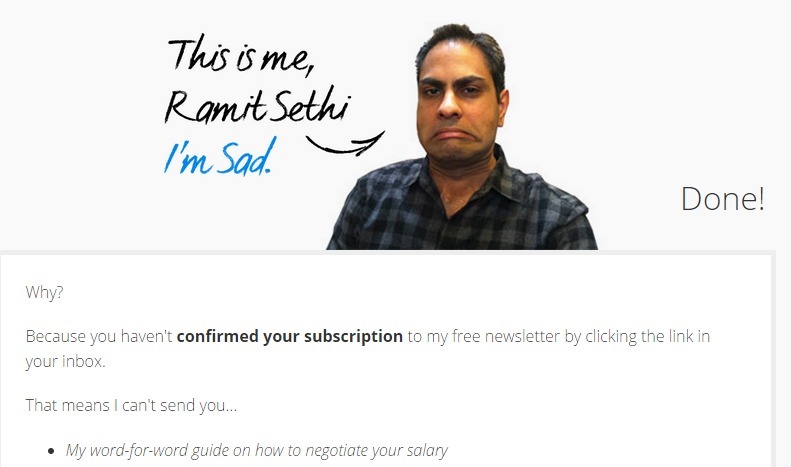 Ramit uses this ‘cuteness’ tactic to make you feel sorry for not letting him into your inbox. People are so human! Show them a real newsletter author photo. This will be your second step towards incorporating your personality into the newsletter, which is a great tactic to build rapport with your followers. 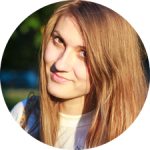 Here’s a photo of our store newsletter author Tanya. Isn’t she cute? We are afraid to lose. So much that sometimes we lose even more because of this fear. Check wiki’s ‘Loss aversion‘ article for the scientific proof and then make your readers fear to miss your emails. Tell them what useful case studies/whitepapers and great stories you have in your sleeve. Available only after subscription. Show exactly how confirmation email looks in their inbox and where to click. You can see it if you visit via this link with email signature. This is a good trick to make sure they actually find your email if you were unfortunate to land into a spam folder. This one is from info-marketing arsenal too. But what can I do? You can use copy or a real timer to add urgency to your confirmation page. We are all lazy and you subscribers are even more. Entice them to act ASAP. Those were 7 easy steps to power up your email confirmation page. Don’t be lazy, make it funny and personal, and you’ll get better results with your email marketing efforts.